We request personally identifiable information when you request a service, correspond with us, or engage in certain activities through our web site. You make the decision whether to proceed with any activity that requests personal information. If you do not wish to provide the requested information, however, you may be unable to complete the matter. Potentia Media collects information from users of its Web site, potential clients, prospective employees, and alliance relationships to name a few, including the information you provide to us by submitting information to us through use of the site. Potentia Media may keep track of this information and the information that you provide to us when you visit the site for our internal review, business development, informative emails, research, marketing, and we store this information for the amount of time necessary. Additionally, we use personal information to allow you to obtain access to services or otherwise engage in other activities you select. We may also use this information to solicit e-mail for business development, research, marketing or promotional purposes or press inquiries. It is our practice to provide you with an opportunity to opt-out for e-mail communications and remove yourself from this distribution list by sending us an e-mail to remove to info@potentiamedia.com. We store this information in our database and will not share it with third parties, except as described in this policy. At any time you can remove your name and related information from our database, and we will provide you a choice to opt-out if you don’t want your information used for any purpose or a particular purpose. 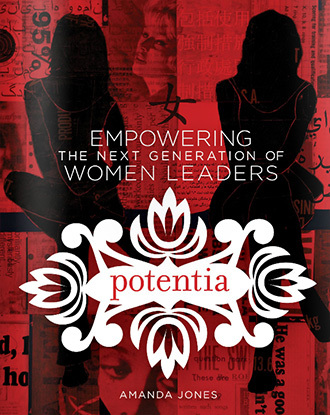 You can review and update your information by contacting us at info@potentiamedia.com. Potentia Media may collect other types of anonymous data from Web site users through the use of “cookies,” which are text files that a Web site places on the hard drive of your computer that identifies you as a user. When you return to the web site, your browser sends that information back to the site. Potentia Media may use the information provided by cookies to analyze trends, administer the site, or for research and marketing purposes to help us better serve our clients. No personally identifying information from you will be collected as part of these cookies. You can set your browser to notify you before your receive a cookie, giving you a chance to accept it and you can set your browser to turn off cookies. Our Web pages do not target and are not intended to attract children under the age of 13. Potentia Media does not knowingly solicit personal information from children under the age of 13 or send them requests for personal information. We will never share your information with third parties (e.g.sharing email lists). We do retain the services of outside contractors to provide services for us. They may be used to provide training services, technical support, to handle order processing or to perform other services. We require that these contractors keep the personal information of customers secure and confidential. We also require that these contractors use personal information only on behalf of Potentia Media. We will provide the information collected in the event we are required to provide such information by a court, administrative or governmental order or subpoena or other legal process. Potentia Media provides this website to you, your employees, agents, contractors and any other entity on whose behalf you accept these terms (collectively “You”), subject to these Terms. These Terms are entered into by and between Potentia Media and You, and You accept them by using this website in any manner. This Potentia Media website, or any other publicly accessed site maintained by Potentia Media’ Web server linked to these Terms (“Sites”) includes without limitation all information, documents, communications, files, text, white papers, methodologies, studies, video files, audio files, software code, photographs, graphics, processes, technologies or other materials available through the Website (collectively, “Materials”). Potentia Media hereby authorizes You to view, print, copy and distribute information published by Potentia Media on the Sites, provided that : (i) the information may be used internally (by You or any third party to whom You distribute it) only for informational purposes; (ii) no fee may be charged for distribution of any information to any third party; and (iii) any and all copyright or other proprietary notices that appear on the Sites or any Potentia Media Web page, together with these Terms, must appear on all copies that You make or distribute. The Materials published on the Sites, as well as their selection and arrangements are protected by copyrights, trademark and/or other intellectual property laws, and any unauthorized use of the Materials at the Sites may violate such laws and the Terms. Except as expressly provided herein Potentia Media does not grant any express or implied rights to use the Materials. You agree not to copy, republish, frame, transit, modify, rent, lease, loan, sell, assign, distribute, license, sublicense, reverse engineer, or create derivative works based on the Sites, Materials or their selection and arrangement except as expressly authorized by Potentia Media. Potentia Media and Potentia Media logo are trade names, trademarks, and service marks of Potentia Media. All other trade names, trademarks, logos or service marks mentioned herein are property of to their respective owners. All Materials provided via the Sites are intended for informational purposes only and are subject to change or withdrawal by Potentia Media at any time without notice. Potentia Media assumes no responsibility for the accuracy or completeness of the Materials. THE MATERIALS ARE PROVIDED “AS IS,” WITHOUT WARRANTY OF ANY KIND, INCLUDING (WITHOUT LIMITATION) ANY IMPLIED WARRANTIES OF MERCHANTABILITY, FITNESS FOR A PARTICULAR PURPOSE OR NON-INFRINGEMENT. Some jurisdictions do not allow the exclusion of implied warranties, so the above exclusion may not apply to You. IN NO EVENT WILL Potentia Media BE LIABLE TO ANY PARTY FOR ANY DIRECT, INDIRECT, SPECIAL, INCIDENTAL OR CONSEQUENTIAL DAMAGES FOR ANY USE OF THE SITES, THE MATERIALS OR ON ANY OTHER HYPERLINKED WEB SITE, INCLUDING, WITHOUT LIMITATION, ANY LOST PROFITS, BUSINESS INTERRUPTION, LOSS OF PROGRAMS OR OTHER DATA, EVEN IF Potentia Media IS EXPRESSLY ADVISED OF THE POSSIBILITY OF SUCH DAMAGES. Unless expressly provided otherwise by Potentia Media, all comments, feedback, information or materials (collectively “Feedback”) submitted to Potentia Media through or in association with the Sites shall be considered non-confidential and Potentia Media property. By submitting Feedback to Potentia Media, You that Potentia Media is free to use, reproduce, license or otherwise distribute and exploit such Feedback as it sees fit, entirely without obligation or restriction of any kind on account of intellectual property rights or otherwise. The Sites may contain hyperlinks to other Websites controlled by parties other than Potentia Media. Potentia Media is not responsible for and does not make any representations whatsoever about any of these Websites. Potentia Media controls the Sites from its offices in San Diego, California, United States of America. You agree that any legal action, proceeding or other matters relating to Your access to or use of the Materials or the Sites shall be governed by U.S. federal law or the laws of the State of California. In the event of any legal action arising hereunder, You also agree to submit the jurisdiction and venue of any federal or state courts in the San Diego area. If You have any questions concerning legal or other matters described above, contact Potentia Media at info@potentiamedia.com for legal matters.